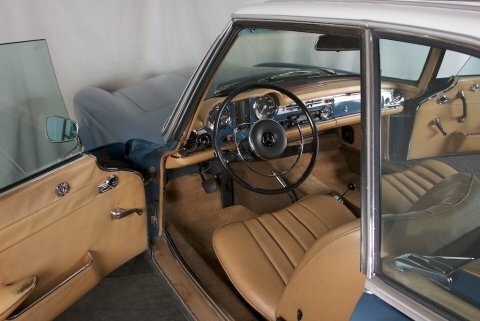 This 1967 Mercedes Benz 250 SL is finished in the desirable combination of Mercedes Blue with a Papyrus White top over Natural interior. 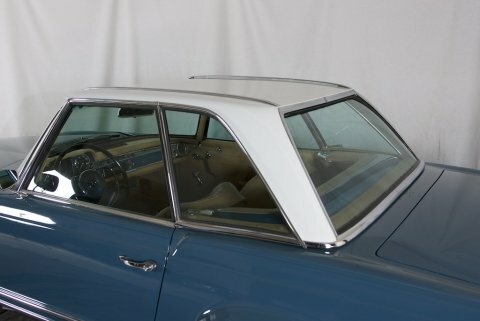 This is a Blue Plate California Car, with all the two-tone charm a Pagoda can offer. 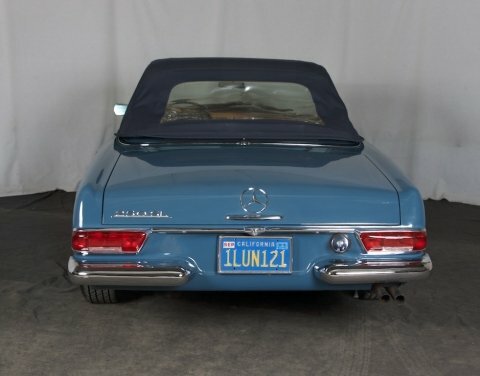 Presented in a striking and desirable color combo of Mercedes Blue (335) over natural leather interior, this two-tone 250 SL is lovely from every angle. 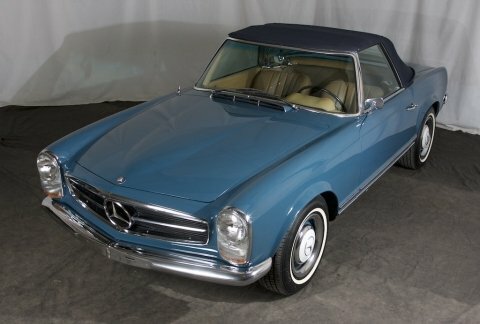 The rarest of the W113 bodies, the 250 SL was the transitional car between the 230 and 280 SL models, respectfully. The 250 SL was quite advanced for its era, sporting four-wheel disc brakes, independent suspension and a 2.5-liter SOHC, mechanically fuel injected, six-cylinder engine. This example is equipped with a ZF four-speed automatic transmission, removable hardtop and its standard soft top. Accompanied with many records over the course of its history, complete factory ownership books and radio instructions, original and correct spare tire, and tools. The original pink slip indicates that the car was sold new in Southern California with the warranty booklet showing the first documented service in 1967 at 483 miles by Auto Stiegler in Encino, California. 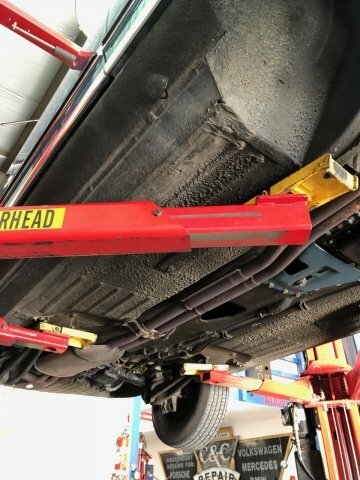 The car spent several years in North Hollywood, CA and was serviced in and around the area, taking care of all the common service and maintenance required. Since then the car has had several owners but is believed to be a California car since new. 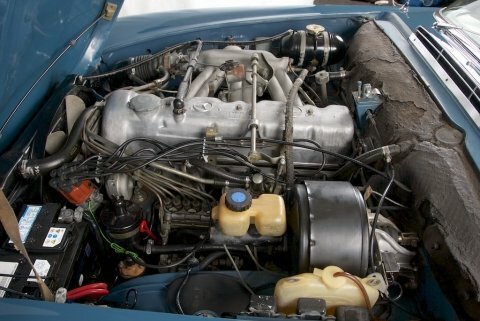 Per the current owner, we know the engine was rebuilt only 3k miles ago with full records and receipts included. Over $1300 was just spent on the car to revitalize the car and its running condition, including cleaning the fuel tank, replacing the fuel pump, screen and filter, tuning of the injection and the ignition systems, linkage adjusted, and fluids changed. A very nice looking 250 SL ready to enjoy.